StartUp Britain Bus Tour to boost start-up rate to 600,000 in 2015! 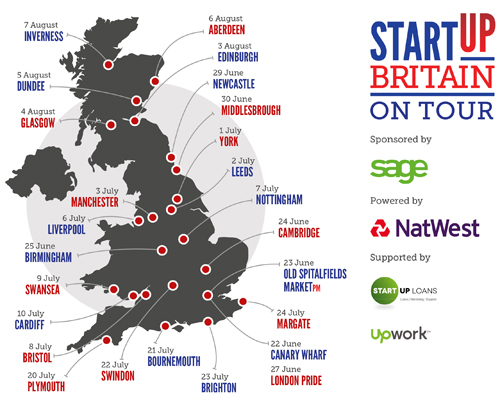 National enterprise campaign, StartUp Britain will hit the road this summer to help boost the no. of businesses started in 2015 to a record 600,000. For the fourth year, the campaign is set to tour Britain with a bus full of start-up experts and champions, to provide inspiration and support to tens of thousands of aspiring entrepreneurs. Joining leading small business software company Sage as a headline sponsor of StartUp Britain, NatWest is providing its 1966 Routemaster bus (the ‘NatWestBizBus’) for the tour, wrapping the iconic bus with campaign branding to catch the eye of individuals both on the high street and the open road. Government-backed Start Up Loans Company and Upwork (‘the world leader in online work’) will also be supporting the tour. On board, the national partners will be giving one-to-one advice and workshops to aspiring and early-stage entrepreneurs, while local business organisations and entrepreneurs will provide mentoring and local guidance. The tour is set to visit 25 locations across England, Wales and Scotland, starting in London on 22nd June and ending in Inverness on 8th August. The bus will be taking prominent positions outside Birmingham Library, Bournemouth Pier and Nottingham Town Hall and will be visiting Margate, Plymouth, Dundee, Middlesbrough and Swansea, among many others. It will also be taking part in the London Pride parade. Read what people are saying about the tour on Twitter via the #StartUpTour hashtag and tell us if you’re coming too! StartUp Britain director, Matt Smith said: “Since StartUp Britain launched in 2011 we have seen record breaking numbers of people each year starting businesses, showing that the entrepreneurial spirit within Britain continues to grow. By parking the StartUp Britain bus in town squares across the country, we want to give people the confidence and inspiration to turn their business ideas into reality”. So, if you’re thinking of starting your own business or need help with a new venture, we’d love to see you at one of the bus tour locations. The bus will be parked up in easily accessible locations in the towns and cities listed above and everyone is welcome to just drop by for a friendly chat and some free help and advice from our experts. 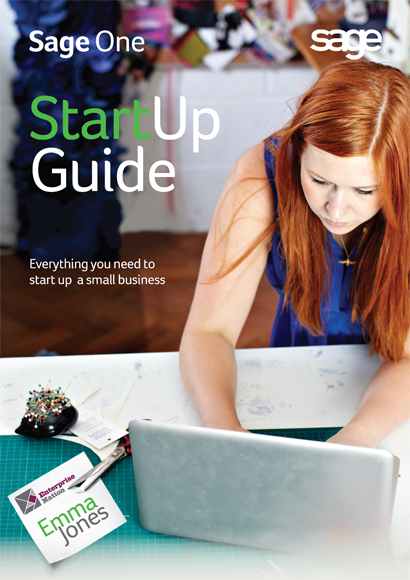 Whether you can make it to the bus tour or not, we also recommend you download our free 100-page ‘Sage One Start Up Guide‘ which is written by StartUp Britain co-founder Emma Jones.